Track season started today for my daughter. She runs the mile and the 2 mile. To letter she needs to run the mile in 5:55.8 and the two mile in 13:14.5 (6:39 pace). I think I’d be able to letter in the two mile, but not the mile. Tough stuff! Her first outdoor meet (home, too) is on the afternoon of Boston Marathon! Bummed that I’ll be missing it, but hopefully Mom running 26.2 inspires her to motor through her tough spots. Today was about self control on my run. My legs feel great and I wanted to run farther and faster than the plan said. But I controlled myself since I’m still in recovery from Phoenix mode. 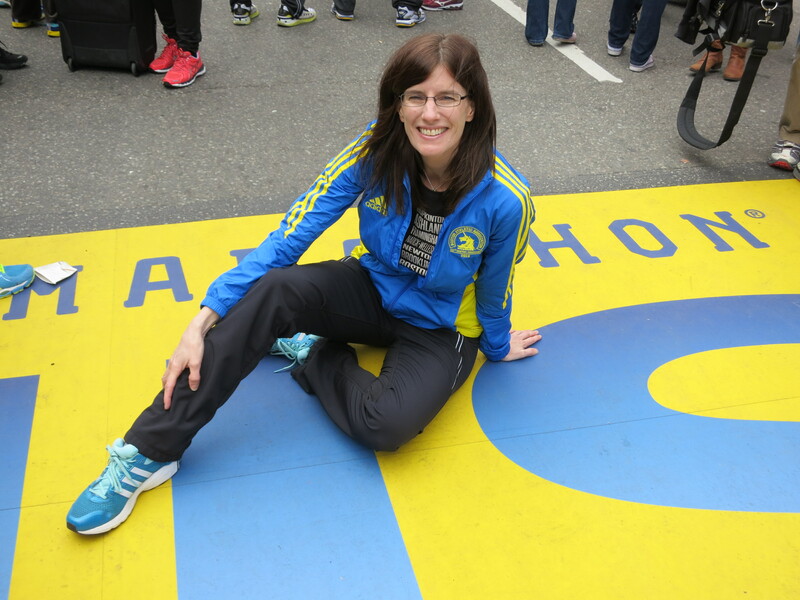 Other Boston related news: got seats selected on the plane and have a plan for pre-race dinner with the speedy training group. Wheee! I am so excited I can hardly stand it!